For some of you this question might be the easiest to answer. But for many developers concept of JSON is not well understood. 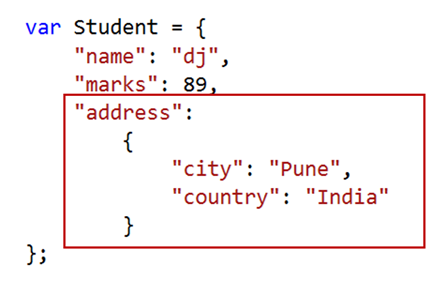 In my seminars when I use JSON data for demo, I find many developers do not have understanding of JSON. In this post I am trying to address this problem. You can represent collection in JSON as well. That can be represented as array of JSON objects. You can have JSON object as value of another JSON object as well. When you browse HTML you will find HTML elements values are displaying JSON data. I hope now you have some understanding of JSON. Thanks for reading this post. Put practically with best pictorial form, Brilliant !!! Its nice article. I understood easily. thanks for posting.